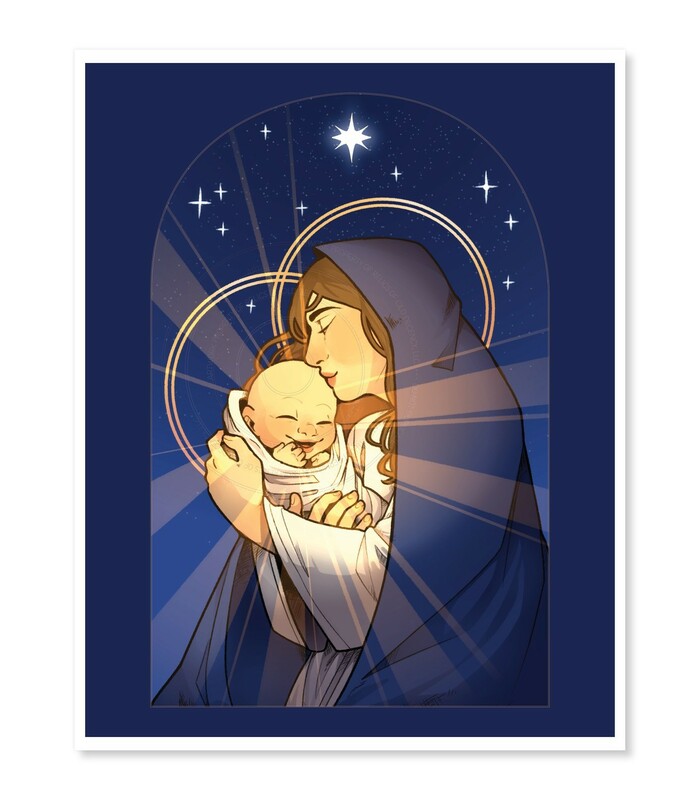 This 11" x 14" drawing captures the joy our Lord felt being held by His precious mother, Mary. Drawn by Cate Clough and printed on textured fine art paper. Will arrive ready to be matted and framed.